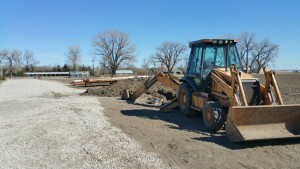 Welcome to Webster Well Services, Inc.
Webster Well Services Inc. specializes in domestic and irrigation well drilling and service, as well as the installation of new septic systems in Saunders, Dodge, Colfax, and surrounding counties. Our mission is to provide high quality water systems with experienced service, first-rate products, and modern equipment. We provide free estimates offering top-quality components with a five-year warranty. If desired, estimates may be prepared using less expensive, lower quality components. We are also happy to provide cost and quality comparison of competitors' bids. While components may be, at your request, "downgraded", our installation and service will always be first-rate! Licensed and Insured for your safety and protection.